Wine Muscat Ottonel are full and harmonious. Usually have a light yellow color, accompanied by fine muscat aroma, the taste is soft, light, a smell and taste can find a rose, geranium, with attributive wines, honey, citrus, resin and pleasant aroma of toast. Wine is generally not well suited for archiving, although there are rare exceptions that have several years of aging in the bottle deserve. In good years can be very full wines with residual cukromu, famous as the site of Slovak wines Modra. Wine Muscat Ottonel is most often combined with starters of foie gras or with sweet desserts. They can serve as a light dry aperitif. Harmoniousness and their distinctive aroma pleasing especially women and girls. Víno Hubinský Muškát Ottonel 2016, quality wine, dry, 0,75 l Golden-greenish color. The aroma is found sweet raisins, flowery nutmeg, green pepper, but also a piece of green apples. 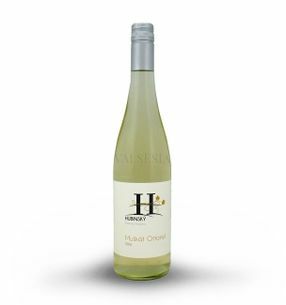 Harmonic taste offering fresh spicy notes and a nice acidity through your mouth the wine so easy to forget.